The Great Depression began only 7 months after Hoover's inauguration, and efforts to combat it dominated the next decade. Before it began, however, Hoover's interest in science and conservation brought about a change in the Survey's work in several respects, first in conservation activities and then in basic research. In the conservation of the public lands, Hoover recognized three urgent problems: overgrazing, which diminished the value of the lands and imperiled the water supply through destruction of the natural cover; the best method of applying reclamation in order to gain real and enlarged conservation of water resources; and the conservation of oil and gas resources. He took action first on the third problem, announcing on March 12, 1929, that henceforth there would be the greatest possible conservation of Government oil, thereby changing the work of the Conservation Branch with respect to oil and gas leases. The importance given to the conservation of water resources led to a still greater expansion of the Water Resources Branch. In the fall of 1929, the first Hoover budget called for increased funds for scientific agencies, including $100,000 for fundamental research in geologic sciences, the first substantial increase in Federal funds for geologic investigations since 1915. In the spring of 1930, Congress appropriated $2.87 million for the Geological Survey and also appropriated funds for the expenses of a commission on the conservation and administration of the public domain. Figure 31. 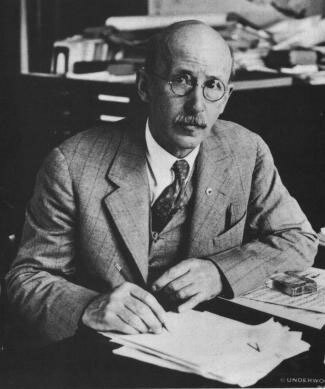 Walter Curran Mendenhall, Director of the U.S. Geological Survey, 1930-1943. In December 1930, Hoover appointed George Otis Smith to the newly reorganized Federal Power Commission and then appointed Walter C. Mendenhall to succeed Smith as Director of the Geological Survey, honoring not only a commitment to appoint the heads of scientific agencies from within the civil service but also a commitment to support basic research. Mendenhall was 59, the same age as Smith. He had joined the Survey in 1894, fresh from Ohio Normal University, and had mapped in the Appalachian coal fields. In 1898, he had been one of the pioneer geologists in Alaska, and in 1903 he had become one of the first ground-water specialists in the Water Resources Branch. An early member of the Land Classification Board, he became its chairman in 1911 and in 1912 the first Chief of the Land Classification Branch. For 8 years before becoming Director, Mendenhall had been the Chief Geologist. Although more than half his Survey career had been in administrative work, he had made notable contributions to the geology of Alaska, and his study of the principles in ground-water hydrology had helped to establish it as a field of scientific endeavor. Like King, Powell, and Walcott, Mendenhall became a member of the National Academy of Sciences. Figure 32. 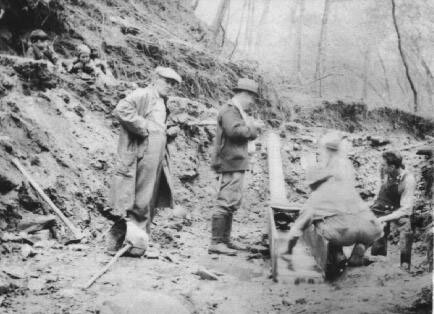 Geologists examining placer gold in Georgia, 1934. Figure 33. 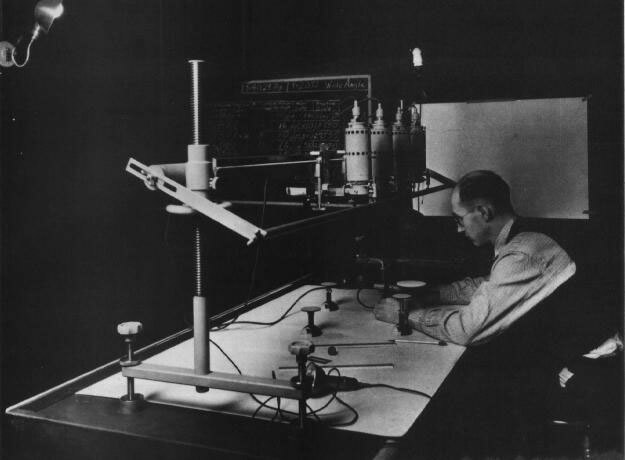 A Survey topographer using multiplex equipment to prepare a topographic map, 1936.